We've seen spy shots. We've seen patent drawings. We've actually even driven it. 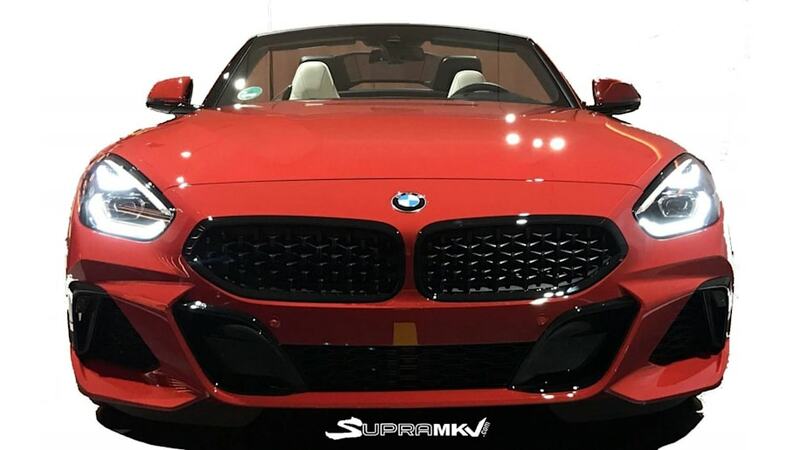 Finally, in the form of leaked photos from Supra forum SupraMKV.com, we get to see the 2019 BMW Z4 in sheetmetal. And it looks pretty faithful to the concept shown at the Pebble Beach Concours in 2017. The lean body, wide kidney grilles, upswept headlights, giant air vent, rising character lines and pert rear are all dead ringers for the show car. Where it differs is mainly in details. The lower grilles in the front fascia are much busier with lots of angled panels and accents, at least in this M40i iteration. The hood lacks the sculpted vents of the concept. And of course there are production necessities such as door handles, a fuel filler and badging. Otherwise it's quite faithful. The car also looks much more athletic and balanced than its predecessors, which had a lot of unnecessary curves and long noses with even shorter tails. BMW recently announced that it will be revealing a vehicle at this year's Pebble Beach Concours, which is Aug. 26. We wouldn't be surprised if the roadster makes its debut at the classic car event, since clearly the car is ready to be shown, and it would be a nice bookend to the concept's debut last year. Under the hood is a turbocharged inline-6 engine. We know that at least one version will have 382 horsepower and 369 pound-feet of torque. 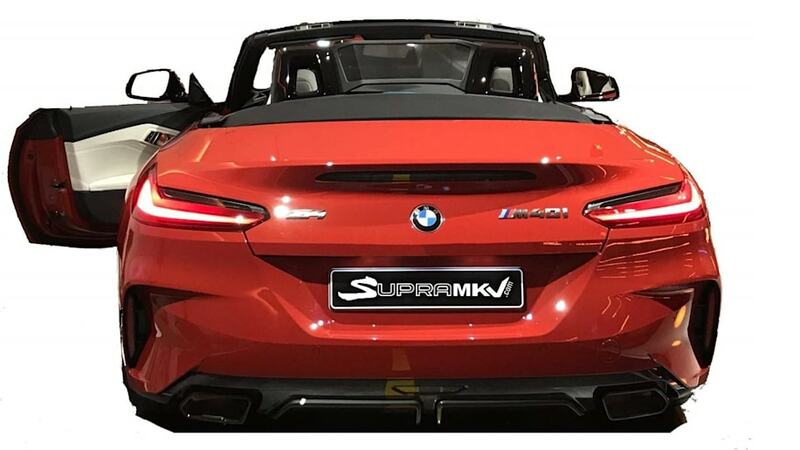 We wouldn't be surprised if that's the engine for the M40i shown in the photos. The presence of an M40i also suggests that less-potent models will be available. If BMW borrows the 8 Series coupe's product strategy, though, the M40i will probably be the only model available at launch. Stay tuned for more details when the car makes its official debut.